There are important factors to look out for when purchasing any types of jewelleries. In an item of jewellery, the main value lies in the gemstones itself. The gold and the labour components and other smaller diamonds are less than 25% of the value. For example, if you were to buy $10,000 jewellery, you would want the gemstone or diamond to have a value of $8,000 and the remaining $2,000 to be on the gold and labour. This will definitely ensure a higher investment on your jewelleries if you are intending to sell its value will increase in the future. So the question you will be asking yourself is how to guarantee you have chosen the right jewellery for future investments. The right answer to that is choosing the right jeweller to select the right gemstone or diamond for you. 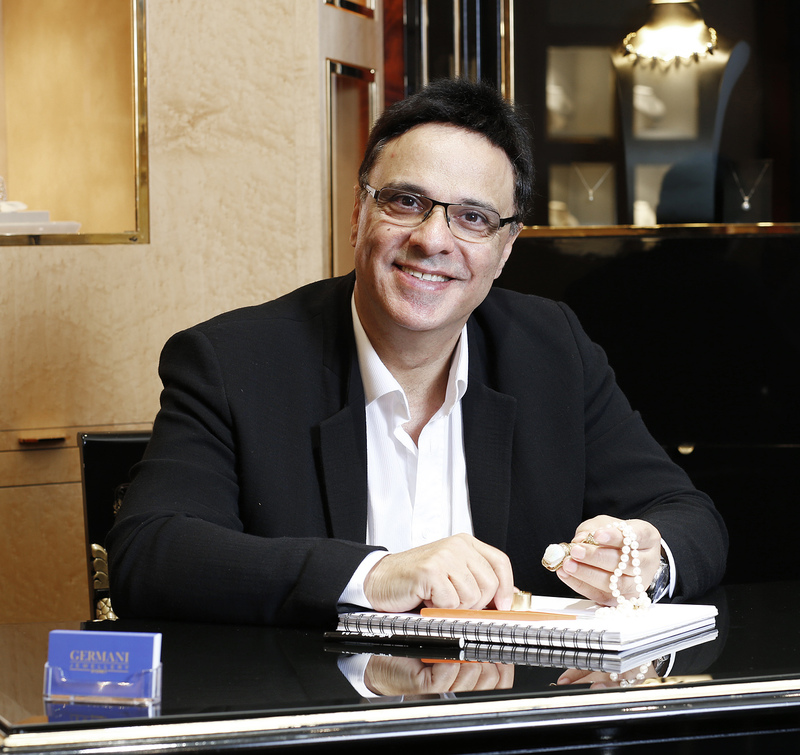 Michel Germani has been helping clients on selecting the right gemstone and diamond since the early 80’s. And Michel continues to help by selecting engagement rings for the second generations of his earlier clients. 1) Always buy the highest gem quality stones you can afford instead of just settling for the size. For example, you would rather buy a ½-carat gem quality stone instead of a 1-carat low quality stone. 2) For instance, always go for a 1-carat gem quality sapphire instead of a 1-carat low gem quality diamond. 3) Another example, always go for a 1-carat gem quality tanzanite instead of a 1-carat low gem quality sapphire. And the reasons for Michel’s advice stated above are as follows. When purchasing a fine piece of jewellery, it will retain its value and increase in time, as there will always be demand in high quality jewellery. In conclusion, its value will also increase over time because there will always be a demand for gem quality stones due to its rarity. Therefore, its value will be higher in years to come. However, if you were to purchase jewellery without a high quality or grade (inferior grade, not of the right colour and cut and with lots of inclusions), it will not be in demand and thus, it will lose its value if you are going to sell it in the future. Firstly, we are goi ng to discuss Sapphire. 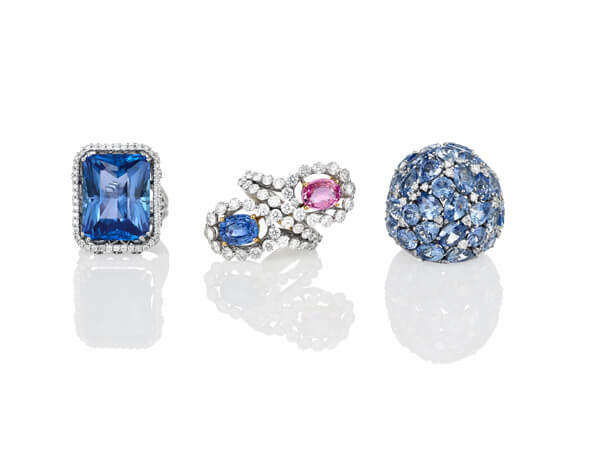 Sapphires naturally come in an extensive variety of colours such as blue, pink, yellow, orange and green. We will be focusing on Blue Sapphire in our following discussions. 1) Hue (commonly known as colour) – One of the most important factor to look out for when buying sapphires. If you are looking for blue sapphire, look for how deep the colour is and instead of how dark or light the colour of the stones. Look for the hue in the stones and not the tonality or intensity of the colour. 2) Cut – Stone needs to be well cut to ensure its high dispersion of light, enhancing the blue sapphire’s luster and brilliance where you will be able to see life in the sapphire as the colour blue. 3) Inclusions – It is normal and common to have slight or minor inclusions in gemstones as long as these inclusions cannot be seen by the naked eye. 4) Size –The bigger the size, the higher the value of any gemstone. 5) Jewellery of gem quality – Always choose a 1ct to 2ct gem quality sapphire instead of a 3ct to 5ct lower grade sapphire. If you are looking for an engagement ring, you could always opt for sapphire instead of a diamond, as you will be getting a larger stone for the same value. And if you are unsure or uncertain in choosing on your own, always look for a jeweller whom you can trust to choose and pick your ‘gem quality’ stones for your jewelleries. You are most welcome to contact Michel Germani on advice for which stones to select for your engagement ring according to your budget. You are most welcome to visit our new store in Chatswood Chase, located in Ground Floor, next to David Jones entrance.